Philadelphia, PA - Breaking Glass Pictures has acquired North American home video and broadcast rights to Hugh Gross' After the Wizard, a colorful continuation of Frank L. Baum's "The Wonderful Wizard of Oz." Shot in Kansas and five other states, the film stars Jordan Van Vranken, Orien Richman and Jermel Nakia. The deal was struck last week between Ronna Wallace, CEO of Eastgate Pictures and Breaking Pictures CEO Rich Wolff. The film is set for a DVD release this summer. "After the Wizard" is a heartfelt, often humorous and always entertaining story about a 12-year-old girl named Elizabeth who lives in an orphanage in Kingman, Kansas. Like millions of girls her age she has read the beloved L. Frank Baum novel "The Wonderful Wizard of Oz" countless times. But unlike other girls, Elizabeth believes she is Dorothy ... and maybe she is. Because Elizabeth refers to herself as Dorothy and constantly looks for Toto and a way back to Oz, the headmistress at the orphanage worries Elizabeth is losing touch with reality. Meanwhile, the Tin Woodman and Scarecrow embark on an incredible cross-country adventure as they leave Oz to search for Dorothy in Kansas. Traveling by hot air balloon, train, bus and foot, the endearing duo find themselves lost in a world full of colorful strangers who are familiar with them, including a group of New Jersey schoolchildren they mistake for Munchkins and a wise Southern blind man who guides them on their journey. "After the Wizard" enjoyed a special world premiere on July 2, 2011 in Kingman, Kansas, which served as headquarters during the Kansas portion of the shoot and made its film festival debut on March 22, 2012 at the International Family Film Festival at Raleigh Studios in Hollywood. Family Friendly Feature Film Based on the Iconic "Wonderful Wizard of Oz" Characters Kicks Off Holiday Weekend of Screenings & Activities in Kingman, Kansas. May 18, 2011, Kingman, KS/Los Angeles, CA - "After The Wizard," a feature length family film based on the iconic "Wonderful Wizard of Oz" characters created by L. Frank Baum, will hold its World Premiere Screening in Kingman, Kansas on Saturday, July 2, 2011, with additional screenings and activities scheduled throughout the 4th of July holiday weekend. Times and locations will be announced shortly. Discussions have been initiated with several distributors to follow the Kingman launch of "After The Wizard" with a national release. Often humorous and always entertaining, "After the Wizard" is a heartfelt story about a 12-year-old girl named Elizabeth who lives in an orphanage in Kingman, Kansas. Like millions of girls her age she has read the beloved novel "The Wonderful Wizard of Oz" countless times. But unlike other girls, Elizabeth believes she is Dorothy... and maybe she is. An unforgettable story unfolds as the Scarecrow and Tin Woodman are reunited with Dorothy -- the kind of story that lives on in the imagination and hearts of people forever. Written and directed by Hugh Gross, "After The Wizard" stars Jermel Nakia as the Scarecrow, Orien Richman as the Tin Woodman and P. David Miller as the Lion. 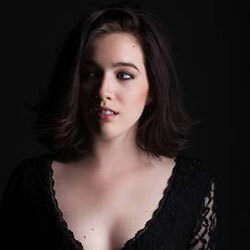 Jordan Van Vranken stars as Elizabeth in the film opposite the incomparable Paxton, who was supplied by Performing Animal Troupe and trained by Cathy Pittman and Tina Browne. "After The Wizard" also stars Helen Richman, Loren Lester, Peter Mark Richman and Susan Giosa. Lance Frank served as producer. "After The Wizard" was headquartered in Kingman during the Kansas portion of its shoot which took place during 2010. The film, which drew more than two hundred volunteers from Kingman and surrounding cities, also filmed in Pretty Prairie, Hutchinson and Topeka. "I'm extremely grateful for the continuing support our production has received from the Kingman community," said Gross. "It's been a wonderful experience and we are thrilled to be able to share this special film with Kingman residents and neighbors before releasing "After The Wizard" to a national audience." "After The Wizard's" decision to anchor in Kingman was the result of a campaign initiated by the Kingman Area Chamber to attract film production as a means of stimulating the local economy. "This has been amazing," Executive Director Wanda Kelsey said, "and we were blessed that our first film production experience was with Hugh Gross, a true gentleman with talent and integrity who sincerely cares about our community." For further information or to schedule a time to speak with writer and director Hugh Gross or cast members, please contact Lauren Lewis at (818) 970-0052 or llewispr@aol.com. www.afterthewizard-themovie.com Photo by Paula Fankhauser, YellowHouse Photography. LOS ANGELES, PRNewswire via COMTEX -- Jordan Van Vranken was among the winners at the 32nd Annual Young Artist Awards, honoring the brightest young actors and performers in show business, held in Los Angeles, Sunday, March 13th. Presented by Hollywood Voice Over Coach Tony Gonzales, formerly of Walt Disney Animation Casting, JORDAN VAN VRANKEN won the award for BEST ACTRESS in a VOICE OVER role for her performance as Ripley in the Warner Brothers/HD Films animated series CHADAM. Executive produced by Jace Hall and originally created by cutting-edge artist Alex Pardee, CHADAM is an action-horror-adventure story that follows the title character as he learns to harness the power of his imagination to save his friends and fellow residents of Cardboard City from the maniacal serial killer, Viceroy. Ripley, voiced by Van Vranken, is Chadam's best friend. The animated series also stars Katey Sagal, Jeffrey Combs, Sid Haig, Wilmer Valderrama, Carl Weathers and John Lanz. Chadam premiered on TheWB.com and is available on iTunes and Dailymotion, the world's largest independent web video site. Jordan dedicated her award to legendary Memphis disc jockey John "Bad Dog" McCormack, credited with being her mentor and inspiration, who died suddenly from a hard-fought battle with leukemia Thursday, March 10th. "Chadam stars Memphis actress Jordan Van Vranken"
Back in January I introduced you to a young actress from Memphis named Jordan Van Vranken. I saw her on an episode of Criminal Minds called Retaliation. I was so impressed with her acting ability that I predicted she was a star on the rise. I was right. Jordan began her career in radio doing weather reports for Clear Channel (including Rock 103) at the age of six. After relocating to South Florida she pursued acting in Community Theater, and is currently living in Los Angeles pursuing her dream. She is keeping herself busy these days and it looks like I am one of many that are impressed by her. Why are so many people singing the praises of this young actress? See for yourself in this clip from “Sugar” and her demo reel on her website. Jordan can now be heard in the WB’s new animated series Chadam, a cool new 3D animated web series by Alex Pardee based on characters he created for the rock band The Used. Check out the Chadam teaser trailer below. Chadam is produced by Jason Hall of HD Films and the series will debut on TheWB.com in September. It has become an Internet phenomenon. Chadam lives as the "chosen one" in the hyper-stylized and exaggerated metropolitan island city of Vulture. His power of imagination is strong enough to physically change his environment and, therefore, his world... to save it from evil. The series will find Chadam in a place of refuge where he and others have retreated to plan their attack against a serial killer known as Viceroy. Jordan voices the character of Ripley, Chadam's best friend. Chadam will come to full 3D animated life via the magic of the Unreal Engine 3, the leading technology and development framework that powers cutting-edge games such as Gears of War and BioShock on today's popular platforms, including PC, Xbox 360 and PlayStation 3. The Internet series will serve as an incubator for future expansion of the Chadam universe, from additional online episodes to television, film, videogames and more." The first five episodes were released June 15th and the second group of episodes (6-10) was released today, they can be viewed at The WB.com. Jordan has also been working on another project, an independent film called After the Wizard. She will play 11-year-old Elizabeth, the lead character in the film which is about what happens to Dorothy (or IS she Dorothy?) after she gets back to Kansas. The Scarecrow and Tin Woodman come back to find her in a hot air balloon, the story goes from there. "Actress in 'After the Wizard' is a Young Artist nominee"
Not many 12-year-old girls are dedicated and disciplined enough to have a film career and still make the honor roll at school. 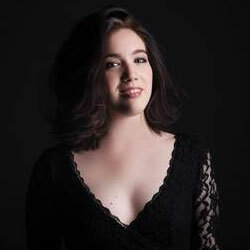 Jordan Van Vranken has accomplished both of those and because of her hard work, she has been an accomplished actress. She recently was nominated for a Young Artist Award for her role as Jenny Schrader in the TV series, "Criminal Minds." Jordan said in a phone interview last week that her part in "Criminal Minds" was the darkest role she has ever played. In the episode that aired Dec. 16, Jordan played the abused daughter of an excon who kidnaps her. Jordan had to cry on camera, which she said she accomplished by "thinking of really sad things." Those who have worked with the young actress on that set and other sets have given her glowing reviews. "Jordan is so lovely, she listens extraordinarily well and has a passion for her craft. She is a true artist - interesting to watch, available and readable even at moments when she is not emoting anything in particular," said Tess Skorczewski, Margie Haber Studios. But her role as Elizabeth Haskens in the movie "After the Wizard" is that of a troubled young girl who relies on her make-believe friends, the Scarecrow and Tin Woodsman, to escape the reality of living in an orphanage following the deaths of her parents. That in itself, is a dark moment for a child, but the movie is a thought-provoking family movie where the viewers see that Elizabeth is finally able to cope with her life without her invisible friends from Oz. Several months ago, Jordan was asked to do a "table read" as a favor to "After the Wizard" script writer, Hugh Gross. Evidentally he liked her interpretation of the character because of the 12,000 other young ladies interested in reading for the part of Elizabeth, she was the one who got it. "A table read is where people read the script so the director can hear it and decide if he needs to touch up the script before auditions," Jordan explained. Jordan has never been to Kansas and said that it is always fun to travel to new places. She said she is looking forward to filming here. She has met the cast and said they are "amazing" although she hasn't seen the little dog who will play Toto. The professional dog is on his way to Kansas with two trainers and he'll have two scenes to film while here - one on Main Street in Kingman and one in the country. The Californian is excited to come to Kansas and to be a part of the movie. Filming began April 6 in California and she said so far, it has been great. Jordan is a Memphis native and was bit by the acting bug after doing live radio weather reports for Clear Channel at the age of 6. After moving to Florida, she acted in community theater. Her parents had a chance to relocate to California, which would also help propel her career. So the move was made. The young actress attends school and when she is filming, she has a tutor that she must spend three hours with each day. Jordan explained that child labor laws require her to spend time with a tutor even if it is spring or summer break. She also said that the production company hires the tutor, so when she is off the set in California, she will have different tutors. Her mother, Rita Van Vranken, is her traveling companion and will be accompanying Jordan to Kansas. Jordan has appeared in numerous other television shows and films, including "Men of a Certain Age." She appeared in a Disney XD movie on Dec. 10 titled "Moises Rules" with Hannah Montana's Moises Arians. She is currently working on a Warner Brothers/HD Films animated series "CHADAM," as the voice of CHADAM'S best friend, Ripley. School and acting aren't the only things that fill Jordan's planner. She takes acting classes and volunteers her time when she isn't performing. She is an active fundraiser for the Ronald McDonald House and St. Jude Children's Research Hospital in Memphis. She participates in their annual Radiothon event. She is also active with the March of Dimes, assisting with their annual fundraiser. "Movie crew will film in Kingman"
The director and producers of the upcoming movie "After the Wizard" were met with a full house at Livingston's Family Center Wednesday afternoon. The town hall meeting came together quickly when the Kingman Area Chamber of Commerce Director Wanda Kelsey received word just a few weeks ago that Kingman was one of the towns being considered as a location to film the sequel to "The Wizard of Oz" book. Several scenes of the G-rated family movie will be filmed in Kingman and shooting here takes place April 19-22. Rosalie Hostettler of Harper saw the request in a weekly e-mail put out by the Kansas Film Commission, that a film crew was searching for the ideal Kansas community. She replied to them that Kingman would be the perfect town. The requirements for a location included: a quaint town where they could film scenes on Main Street and in a library, courthouse, bus depot, basement storm shelter, animal shelter, orphanage, a park and a country road. Kingman didn't meet all the requirements but what it didn't have they found either close by or could re-create. Other Kansas towns they considered were Abilene, Paola, Baldwin and Columbus. "Columbus had a strong case," Hugh Gross stated. He is the director and also wrote the script. Lance Frank is the producer. Blake Phillips is associate producer and Dana Rice is the director of photography. But they chose Kingman. "Kingman has such warm and welcoming people and so many of the locations that we needed," Gross added. Other scenes will be filmed in Topeka, on April 17, in Pretty Prairie on April 18 and and in the studio in Los Angeles. Jordan Van Vranken, a California actress, will play 11-year-old Elizabeth, the lead character in the film. Orien Richman has been cast as the Tin Woodman and Jermel Nakia, the Scarecrow. Loren Lester will play Dr. Edwards, the headmaster of the orphanage. 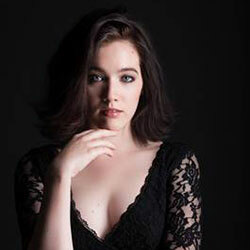 "Jordan Van Vranken: Today's Actress, Tomorrow's Star"
I was recently catching up on some of my TV viewing. I am a couch potato, I admit it. Criminal Minds is one of my favorite shows, I had missed a couple of episodes so I started watching the episode called Retaliation. It opened with action, a man being chased down and arrested. He had killed one woman and kidnapped his own daughter. His daughter was sitting outside a cabin on the porch. He yelled out to her and when she looked in his direction, the look on her face mesmerized me. I would expect to see some anger in her face, but she took it beyond that. You could see anger but also love and confusion, all those emotions. She didn’t speak, but she didn’t have to, her face said all that needed to be said. A smile came across my face as I took in the moment. This young actress was only in a few scenes in the episode, I wanted to see more of her. A mark of a truly great actor or actress is what they don't have to say. This young girl was a wonderful actress. Who is she? What else has she done? After a little digging, I found out her name is Jordan Van Vranken and she is from Memphis. Jordan began her career in radio doing weather reports for Clear Channel (including Rock 103) at the age of six. After relocating to South Florida she pursued acting in Community Theater, and is currently living in Los Angeles pursuing her dream. Jordan can be seen in episodes of not only Criminal Minds but also Men of a Certain Age and Disney XD's Moises Rules. She can be heard in the Warner Brothers/HD Films animated series CHADAM, as the voice of Ripley. I also learned that she has been in over 20 independent films (several festival bound), commercials, music videos, theatre productions, and voice over projects, including motion capture. "Jordan's youthful vibrance was a blast to work with. Even though production days ran long, her patience and dedication to doing a great job was always appreciated by everyone!" "Jordan is so lovely, she listens extraordinarily well and has a passion for her craft. She is a true artist - interesting to watch, available and readable even at moments when she is not emoting anything in particular." "From the time her dad put her on the phone to give us a hurricane report from Florida (she was only 6), we knew she had special talents!" "Jordan is such a talented and incredible young Actress. She is quick to learn and takes direction extremely well. She has an emotional depth that is so rare for her age; sweet, loving, or heartbreaking...simply amazing. This girl is going to go far!" Tim Lowry; President, DesertRock Entertainment, Inc.
Why are so many people singing the praises of this young actress? See for yourself in this clip from "Sugar" and her demo reel on her website. In addition to acting, Jordan loves writing and photography. She is an honor roll student and has a fraternal twin brother who is one of her biggest supporters. I just got this from Jordan as I was preparing the article for publication. "Back in the booth this week recording for "CHADAM," Warner Brothers/HD Films animated series. I voice the character of Ripley, Chadam's best friend.... The link below will take you to a video with me, Katey Sagal, Carl Weathers, Sid Haig, Jeffrey Combs, and John Lanz behind the scenes at earlier recording sessions. Jordan was recognized at the 2009 CARE Awards, and is currently being considered for a 2010 CARE Award and 2010 Hollywood Young Artist Award for her roles in Criminal Minds, and the short films, Sugar and Boysenberry Pie. The CARE (Child Actor Recognition Event) Awards honor child actors for their positive contributions to the entertainment industry. It's a red carpet event held at the Globe Theatre inside Universal Studios, Hollywood. The Young Artist Awards recognize young artists between the ages of 5-18 for their performances in television and film. I'm sure you will be hearing from Jordan Van Vranken for years to come. Her name may not be familiar to you now but in the near future it will be a household name. Look for big things from this little lady, she has more talent than anyone I have seen in many, many years. She's a natural.